For those of you looking to host a Halloween party with lots of scary fun then these spooky and scary Zombie Halloween Party Invitations are perfect for adding some extra horror to your Halloween party plans. Halloween is a fun time of the year. Both children and adults love to get involved in dressing up and going, Trick or Treating. Celebrating a time where witches, wizards, monsters and the undead walk the Earth. Filled with creepy images, undead terrors and creeping zombies searching for......."brains". 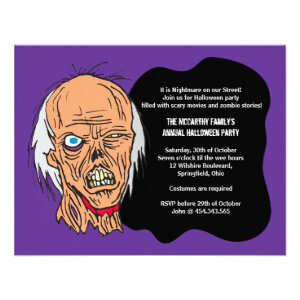 These Zombie Halloween Party Invitations come in a variety of different designs, colours and scariness. Suitable for all kinds of party celebration from children's and teens to more adult themes. 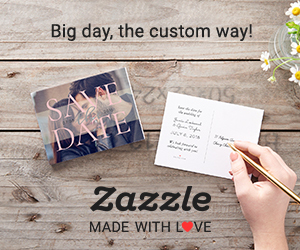 All invitations can be personalized with your own text, colour, font, layout and more, making it even easier to create and send the perfect invite. Ideal for lots of themes like, Fancy Dress Halloween costume party, an evening wine and 'nibbles' party, local Halloween zombie walk or any other type of spooky party. If you are thinking of hosting a Halloween party this year why not make it for zombies only and send one of these Zombie Halloween Party Invitations.